At MyAppsDeveloper.com, we understand the importance of iPhone applications and the role your iPhone app plays in enhancing your customer's service and improving user experience. At MyAppsDeveloper.com, we understand the power that an Android application can harness and can provide you the best possible solution to unleash that power to your advantage. Blackberry application development is nothing new to our developers at MyAppsDeveloper.com. It is essential to understand that any business that does not meet the requirements of the time or is not providing easily accessible tools for their clienteles may end up losing business. MyAppsDeveloper.com can help you and your business succeeds with the right iPhone or Android app for you, so your existing clients are satisfied and new ones are attracted to your services. MyAppsDeveloper.com offers best Android , Iphone and Ipad Apps Development in the market for Education Apps . Come try us and you will not be disappointed . 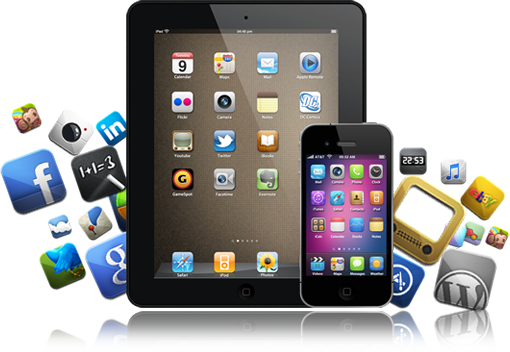 MyAppsDeveloper.com offers best Android , Iphone and Ipad Apps Development in the market for Retail Apps . Come try us and you will not be disappointed . MyAppsDeveloper.com offers best Android , Iphone and Ipad Apps Development in the market for Finance Apps . Come try us and you will not be disappointed . MyAppsDeveloper.com offers best Android , Iphone and Ipad Apps Development in the market for Travel Apps . Come try us and you will not be disappointed .